With Bitcoin surging over the past couple of weeks, it is no suprise that the Google search trends for Bitcoin and cryptocurrency are going through the roof. However, many people believe that the search trends are a leading indicator, meaning that the Google search trends will tend to increase before price increases. However, most people may be getting this the wrong way around. Leading indicators tend to indicate that something is about to happen as opposed to lagging indicators which indicate that something has already happened. In traditional economic terms, the stock market is a leading indicator to the overall health of the economy. If the stock market starts to fall, this rings bells across the finance world that a recession may be on the way. Conversely, in traditional finance terms, unemployment and real GDP are lagging indicators, meaning they only fall after the economy has started to crumble. So the real question should be, do people search for Bitcoin because they already have an interest in buying? Or are they searching because they have recently seen the price go up and are now back interested in investing? Taking a look at the relative Google search results for Bitcoin over the past 30 trading days, we can see that the relative search result rose on April 2 2019 and hit 100 on April 3 2019. This means that relative to the past 30 days, on April 3, the Google search results were at their highest for Bitcoin. 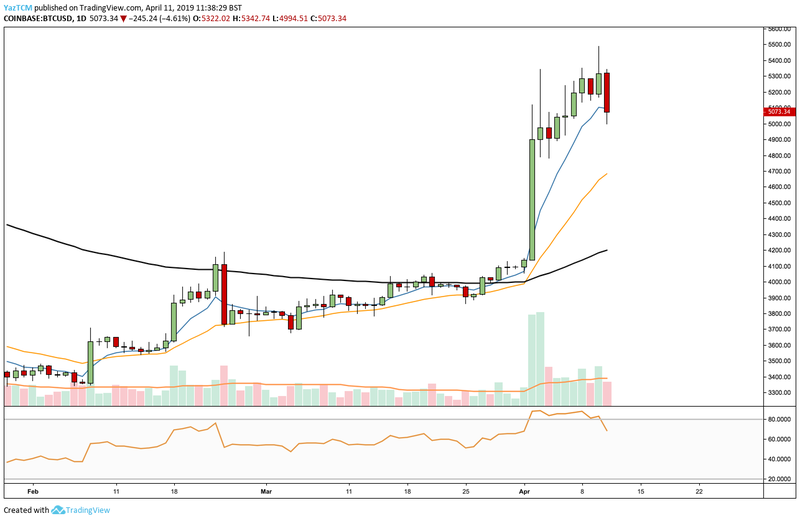 Taking a look at the BTC/USD chart above, we can see that the actual Bitcoin breakout had occurred on April 2, 2019, the same day the relative Google search results increased substantially. 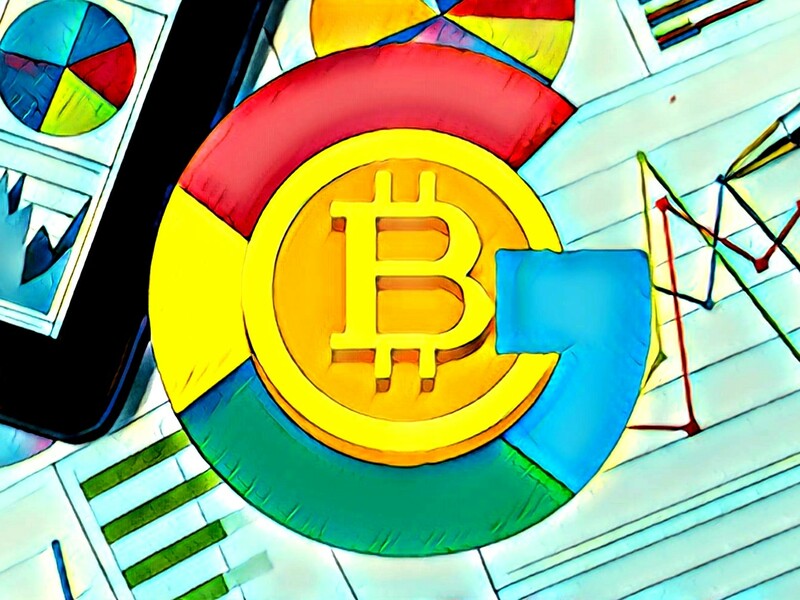 However, as the Google search results started to fall on April 4, 2019, the price continued to rise even further higher. This is a strong indication that there is no inherent relationship between search volume and price action. People will generally tend to see price spike higher first which will make them Google search the term Bitcoin to find out why the price might be increasing. Users may be also searching just to find the price of Bitcoin to see how much their asset has increased, with no intention of purchasing more Bitcoin. Furthermore, during times of bullish price surges news and media publications tend to gain higher traction from the increased exposure in Bitcoin searches and will then start to write more articles about Bitcoin to increase their traffic, creating a vicious cycle which leads to more Bitcoin searches. Overall, it is safe to assume that there the increased Bitcoin search volume is not a leading indicator toward Bitcoin price increases. In reality, the price will spike higher first which will lead to more users searching for Bitcoin to understand why the price might have spiked rather than the user generically searching for Bitcoin out of sheer interest.